One evening, while watching the news, Roger N. Lancaster was startled by a report that a friend, a gay male school teacher, had been arrested for a sexually based crime. The resulting hysteria threatened to ruin the life of an innocent man. 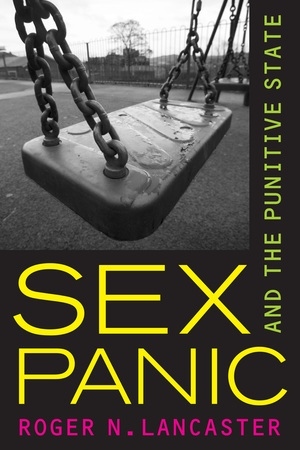 In this passionate and provocative book, Lancaster blends astute analysis, robust polemic, ethnography, and personal narrative to delve into the complicated relationship between sexuality and punishment in our society. Drawing on classical social science, critical legal studies, and queer theory, he tracks the rise of a modern suburban culture of fear and develops new insights into the punitive logic that has put down deep roots in everyday American life. Roger N. Lancaster is Professor of Anthropology and Cultural Studies at George Mason University and is the author of several books, including Life Is Hard and The Trouble with Nature, both from UC Press. Conclusion: Whither the Punitive State?